The following is a true story. 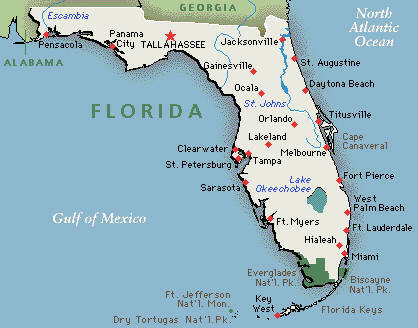 Only the names of people and places have been changed whenever I remembered to do so. The Patriot Act came about during the New England Patriots’ historic undefeated season in 2007 where it was discovered that the team had been spying on (a.k.a. videotaping) opposing teams in order to gain an edge over their competition. The Patriots, however, were unable to complete their perfect season as they fell to the New York Giants in the Super Bowl, thanks in large part to an untimely hand cramp that left their secret cameraman unable to continue his filming late in the fourth quarter. The intelligence officer in question (whom I was tempted to name George W. Bush in this post due to the hilarity that would ensue from writing the words intelligence and George W. Bush in the same sentence but will instead use the name Edward Snowden), released to the media several documents that revealed that the government has been pretty much inept for the last 40+ years. Additionally, these documents showed that the US government has requested and received information from various telecommunications companies that revealed to the government that all of its citizens (whether suspected terrorists or not) were being charged, and paying for, fees that even the secret government court couldn’t figure out. They charged their former spy with spying for revealing that the US government was/is spying on everybody on this world and others. Also they called him a tattle-tale. They forced the New England Patriots to sign Tim “I’m-glad-I-wasn’t-hanging-out-with-Aaron-Hernandez-last-Monday-night” Tebow. The real shame of this whole situation, however, isn’t that the government, which was built upon the principles of freedom and being governed for and by the people, is spying on its own citizens in the name of terror, it’s that this former patriot spy did all of this in order to travel to countries he had always wanted to visit but didn’t have the means to do so. Who among us in his situation wouldn’t have handed over “Top Secret” documents about our government in order to see the exotic sights of Hong Kong; the majesty that is the inside of a Russian airport; the unknown beauty of whatever may be in Ecuador? 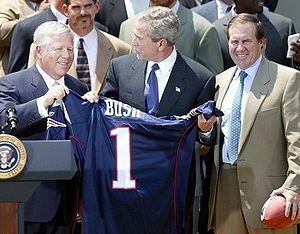 Robert Kraft Having His Jersey Stolen by George W. Bush. Just teasing. Very nice work. Looking forward to future posts!